Of all the remains of the colonial era in America, no sector is better represented or maintained than those religious edifices — the houses of worship — that dot the Eastern seaboard of our nation. These amazing structures testify to a nation founded "under God," to a people committed to worship. The program examines the history and architecture of these colonial churches, meeting houses and synagogues. 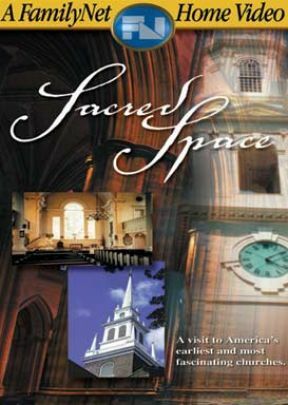 Sacred Space takes you inside and up-close with brilliant, faith-driven craftsmanship that has held up to the test of time. Interviews with knowledgeable experts help to trace the unique histories of some of the most monumental religious structures — and how each played a role in the stories of our American forefathers. Fullscreen. As someone who loves History and Architecture, especially American Colonial, "Sacred Space" is one of my favorite DVDs. This documentary does a wonderful job taking you to Colonial American churches and explaining the role of the church to the Colonial community. I hope to someday visit all the churches featured in the documentary!